Natural beef, mutton and pork casing. Many sizes. 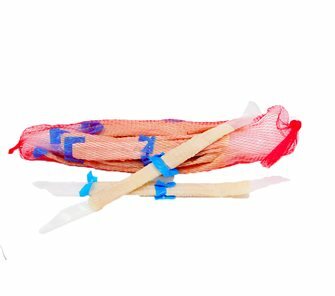 Beef intestines calibre 55/60, minimum 4 m., for making saucisson sausage and blood pudding. 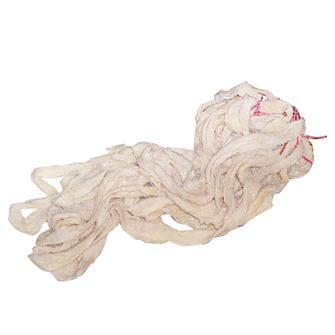 Narrow pork intestines, 25 m., for making fresh sausage or cooked sausages. 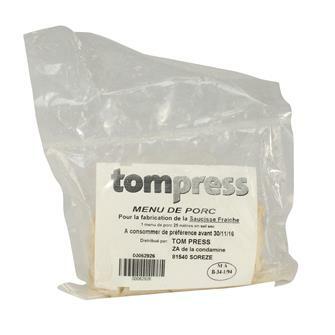 Packet of 2 non-calibrated pork casings, for making 8 to 10 big dried sausages. Intestine endings 60/65. 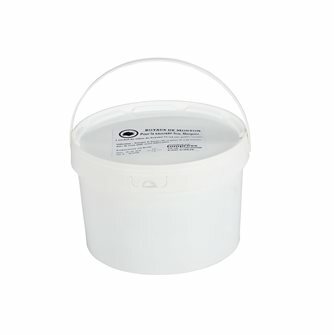 25 pieces per packet for making large puddings that are irregular in shape. 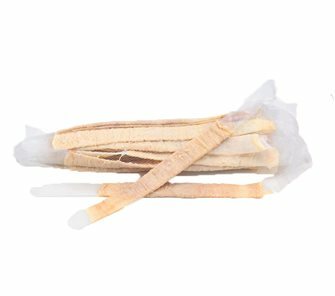 Beef intestine casing, three 6 metre packets. Sheep menu of 180 meters of tubular hoses, real natural casings. 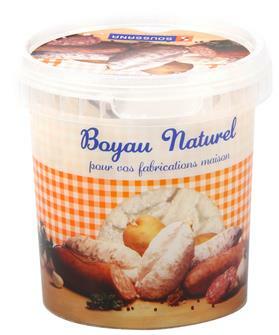 For merguez, chipos ..
Tubular casings of narrow pork on tube, 180 m., For making fresh sausage, sausage for cooking. Tubes of pork narrow menu in bucket in dry salt, 180 m., For making fresh sausage, sausage to cook.